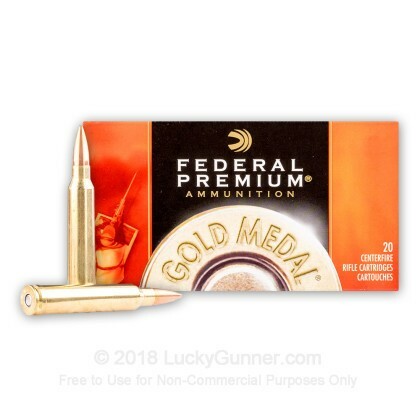 Federal's Gold Medal 300 Winchester Magnum rounds are considered by many shooters to be one of the most accurate rounds to be produced by a factory. Crowned with a Sierra Matchking projectile that is launched at 2900 feet per second, this round is will produce massive expansion on impact and flat trajectories. 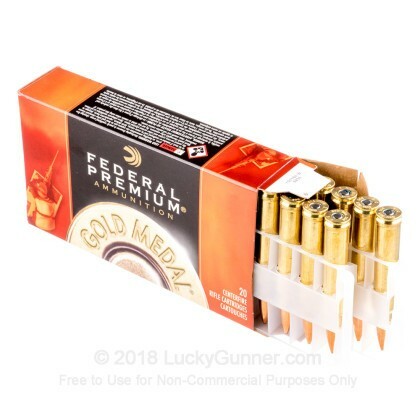 Load your rifle with these 190 grain Sierra Matchking rounds by Federal and experience the bulls eye accuracy of these Gold Medal cartridges. This cartridge is loaded at the Anoka, Minnesota Federal cartridge plant. 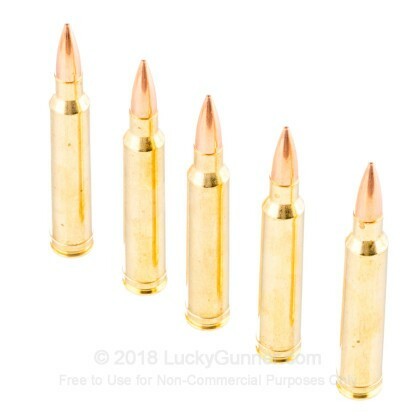 This ammunition is brand new, brass-cased, boxer-primed, non-corrosive, and reloadable. 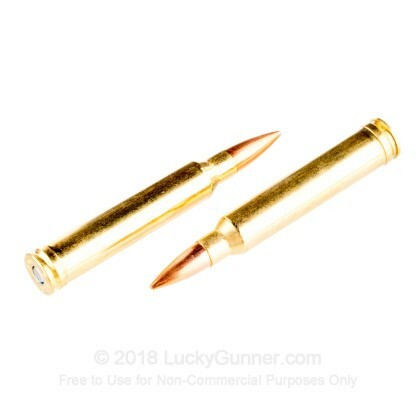 This was my first venture into the world of long range shooting and this ammunition performed as advertised. It allowed a first timer to achieve hits on steel at 1000 yrds. The service and price at Lucky Gunner were second to none. Great value and delivered well within their estimated time window. Thanks Guys. 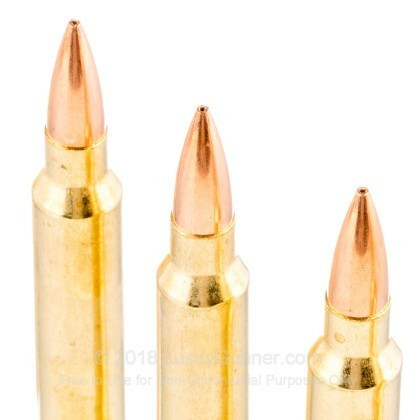 Precision shooting steel out to 1000+ yards is the hobby and this ammo gets it done. At a reasonable price. Thank you Lucky Gunner! 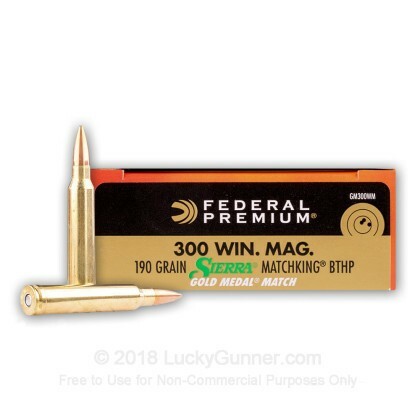 We also have this 300 Winchester Magnum - 190 Grain HP-BT - Federal Gold Medal Match - 200 Rounds ammo in stock in a bigger quantity.